Yes, it's that time of year for many when children and teachers must transition back to school. And, in your children's ministry, this may mean an exciting event to help ease this return to school or just a simple acknowledgement of this event in the lives of children, families and the teaching profession. Looking for a slide or image? So.. you may be simply looking for an image or powerpoint slide to promote this special event. In which case, look no farther. Free promotional images and slides are listed below. If you're searching for ideas or inspiration to create something more interactive, you can find plenty of ideas and resources below and pinned on the Pinterest Back-to-School board. Looking for resources to create your own graphics? But, if you're wanting to create your own images for promotional materials and would just like some help, then check out the following information. With a bit of help some from terrific online programs, you can create spectacular results in no time. For example, you might have an image that is.. well... it's ok, but just lacking a bit of punch. Look at the before and after photo I took for my grand-daughter. She needed an image for an article she was writing, but it was late afternoon, the light was not good. Ahhh... So I went on PicMonkey- added some brightness and a filter- included some wording, a border and.. voila! The image on the right looks so much clearer. If you need a great image, work with PicMonkey. It's fun! 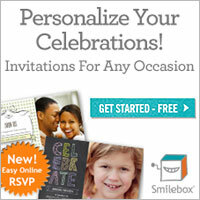 But if you're looking to create your own graphics for this and other kidmin events, then Smilebox is really helpful. Whether you want an image for a powerpoint or newsletter heading, a slideshow or a clip, Smilebox can do it all in minutes. Imagine you want to create a simple Back-to-School image. You've found a couple of simple images of kids and books. But how do you create a graphic like this one.. one that can be used for powerpoint slides, posters, newsletters etc? The answer is Smilebox. Share life's moments in minutes with Smilebox! So... how do you do it? 1. First.. you'll need to download the program- easy! Click on the above Smilebox link to find it. Now, click through the slideshow below to find out how easy it is to make these graphics yourself. You've finished! .That's it! You can now insert this image in any promotional material you want- powerpoint slide, printed material.. whatever. Have fun!If you want to learn more about using Smilebox to create a movie clip, you can find instructions in this previous article. Now, in case you're looking for fun Back-to-School ideas to include in any of your programs and events, check out this Back-to-School Pinterest board. I've curated craft ideas, themed snacks, games, and programs. You'll also find printables that you might like to consider downloading and printing for families to help them start off well for the school year. There are also some great Back-to-School ideas for teacher/volunteer gifts. And... if you're still looking for ideas, you can find some more suggestions in this earlier article. Additional,free Back-to-School promotion slides can be found on the New Chapter store. Follow New Chapter's board Back to School Fun on Pinterest. You can find them on the New Chapter online store. *Disclosure: Some links in this email are affiliate links meaning, at no additional cost to you, I may get a commission if you make a purchase. Thanks for your support in this way!